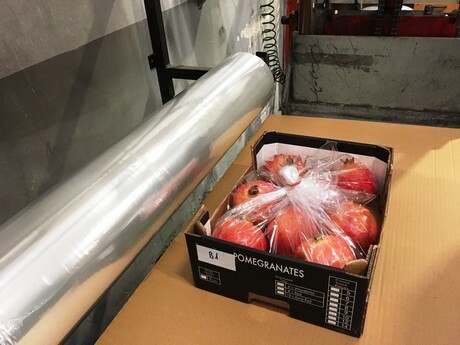 Modified Atmosphere Packaging (MAP) has been around for three decades already and in recent years it's gained acceptance as the market appreciates its performance preserving the freshness of fresh produce and reducing waste in the logistic chain. Alongside with the benefits also comes the cost which is derived among others from the additional labor required for the packing process, the plastic waste created and the cost of the packaging itself. Shay Zeltzer of Postharvest Hub (www.postharvesthub.com) has been around MAP since the mid 90's, developing packaging and implementing postharvest best practice wherever fresh produce has been handled, farms, packing houses throughout the logistic chain to the retail. His recent project conducted with R.O.P (www.rop-ltd.com) led to the development of the revolutionary Ultra-thin MA film that was tested for pomegranate and broccoli, addressing the challenges that still exist with MAP – Packaging cost, operations and environmental impact. 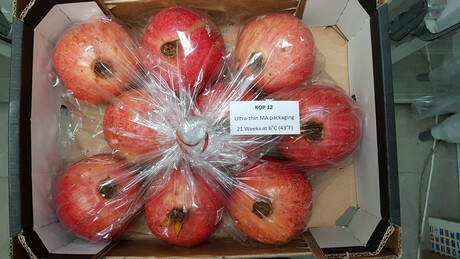 By the way, the new packaging developed also added to the food safety and performance of the packaging preserving the conditions of the produce within. "Often times you'd see packing houses where an employee is busy placing bags into carton, opening them and stacking it to save time for the packers that would later on fill these bags with produce," says Zeltzer. "Piles of cartons with bags open in it are evident in warehouses before and during the packing season. 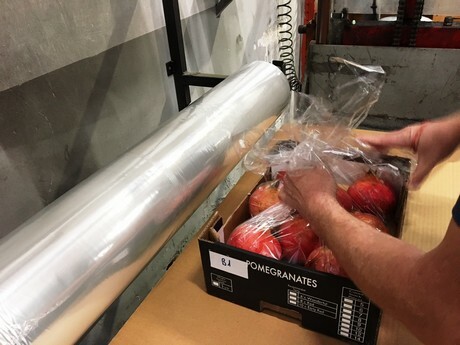 This practice potentially has negative impact for several reasons, it allows germs and fungus to rest in the open bag during the time it 'waits' to be filled and it is also costly requires an additional labor employed to prepare the bags in the cartons." 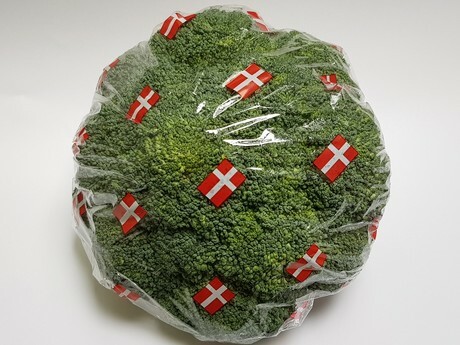 The packaging developed, Ultra-thin MA film, is either manually wrapped around the produce in bulk packaging application or alternatively machine-wrapped around a single produce item (broccoli, cauliflower, melon, cabbage etc.) in retail packaging form. In a recent study conducted in Israel, pomegranate's freshness and appealing presentation was preserved for over 4 months using R.O.P's Ultra-thin MA film. "The packing material is provided in a roll-stock. 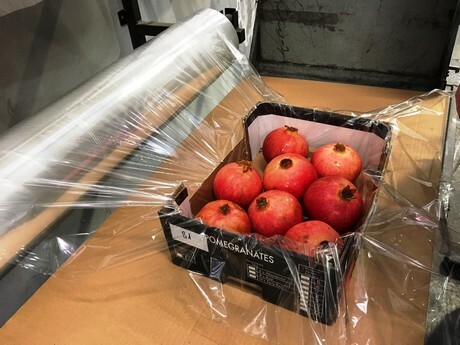 The film is pulled over the carton first like a sheet over a bed, the pomegranate is then place packed after which the film is trimmed and wrapped around the whole content of the box, forming an air-tight sealed packaging," explains Zeltzer. "The ability to extrude multilayer film that is so thin yet uniform in its gauge (12 microns or 0.47 mil), which is still durable and has superior humidity management attributes is not at all trivial", adds Dr. Wentao Gia, ROP's polymer technologist. "This film presents a revolution in the industry as it cuts over 50% of the packaging material used compare to other existing bulk packaging." "We're testing derivatives of the film for other commodities expecting to release packaging solutions for cherries, stone fruits and avocado during 2018", concludes Zeltzer.